When Maserati decided to join the SUV market, luxury and performance drivers everywhere were thrilled. The Maserati of SUVs was bound to be an exciting release. The result was the Maserati Levante, which delivered on all the expectation. We’ve written about the Maserati Levante in the past, but this time, our Tampa Maserati dealer wants to do something different. Here are a few video reviews of the Maserati Levante, so you can see it in action. You’ve seen it in action—now experience it for yourself. Visit our Tampa Maserati dealer today, and test drive the Maserati Levante. 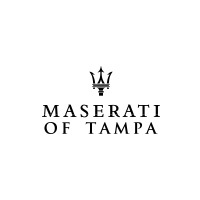 At Maserati of Tampa, we offer the largest inventory of the Levante that you’ll find in the region, allowing you to find the ideal trim and option package for you.